Make that figure a video. Add the power of video to your research. Get an embed code from Vimeo (or YouTube or SoundCloud) and get your media to playback in AuthorCafe. Annotate your video and audio on the timeline, and get your ‘readers’ to focus and navigate through to the important moments. Welcome to full-play authoring. The media you want to embed in AuthorCafe must be hosted in a private/public channel of Vimeo, YouTube or SoundCloud. Select ‘Insert Video’ from the Grey menu. Then go to the page where the video is hosted. Under Share, look for Embed Code. 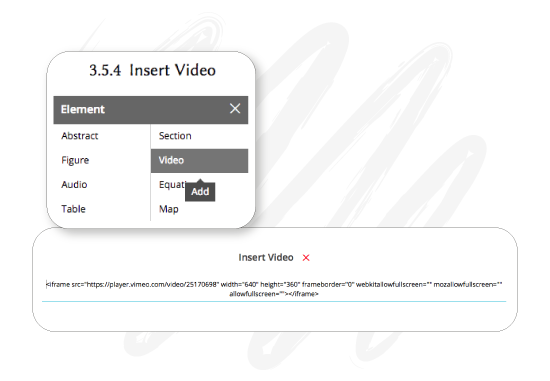 Copy and paste the code into the ‘Insert Video’ dialog box in AuthorCafe. Close dialog to see the media play back inside your project. Embedding a map from Google Maps works the same way. Draw attention to the key moments in your narrative. See sample video on the right and the markers on the video. To create such markers that users can navigate through, click on the Edit icon on the top right of your embedded media. In the window that opens, you will see the option to Add Marker. You can playback, pause where appropriate and drop add a marker at that point. And you can add a text annotation to that marker. Keep adding to the depth of your narrative. While moving media is annotated temporally, static media is annotated spatially in AuthorCafe. See sample figure on the left. 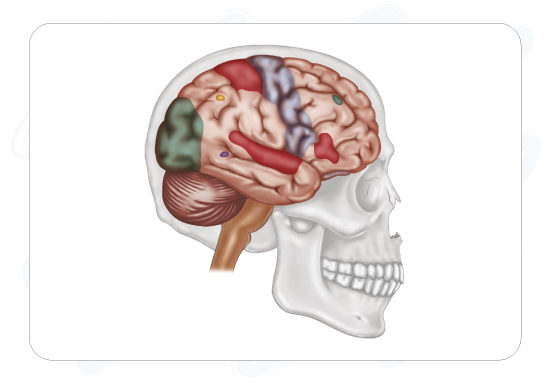 To add such markers (annotations) on an image, click on the Edit icon at the top right of the figure. In the window that launches, you will find the option to Add Marker and for adding text to each marker.